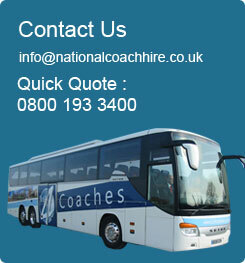 We can arrange last minute or emergency coach hire for transportation of any number of passengers to any destination in the UK. When booking your coach hire it is important that you have your flight details handy as we will need these details to pass onto the operator so that they can monitor the flight and be prepared for any delays. Please also bear in mind that the coach quoted on may be able to cater for more passengers than you may actually require this is because smaller vehicles do not have as much luggage space as the larger vehicles, your account manager will be able to advise you at the time of booking. We can supply standard or executive vehicles from 8 – 83 seats, most of the larger vehicles will have a toilet and DVD facilities on board to make the final leg of transfer as comfortable as possible, smaller vehicles can also come with DVD facilities and air conditioning, your account manager will be able to advise you when dealing with your booking.